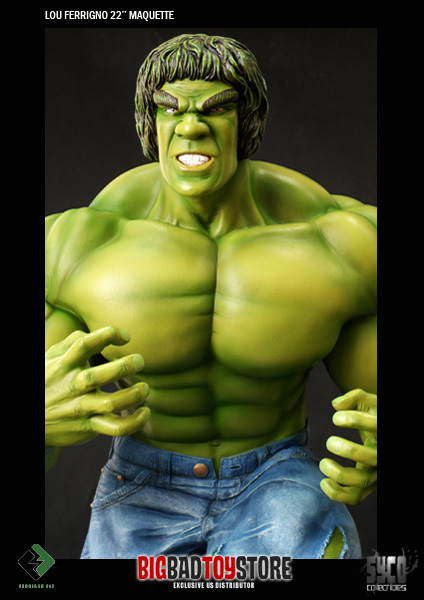 Toyark Sponsor Big Bad Toy Store has sent along a bunch of photos for their upcoming BBTS USA Exclusive Lou Ferrigno Hulk Statue by Syco. 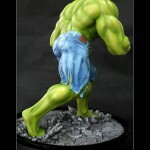 They’ve also listed the statue for pre-order. 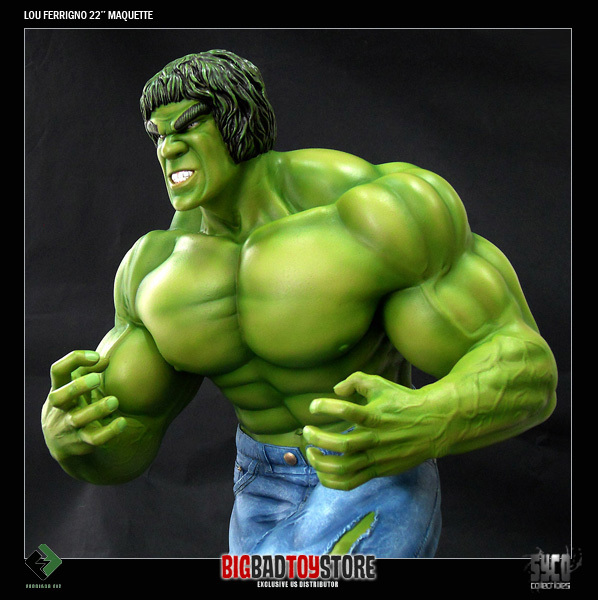 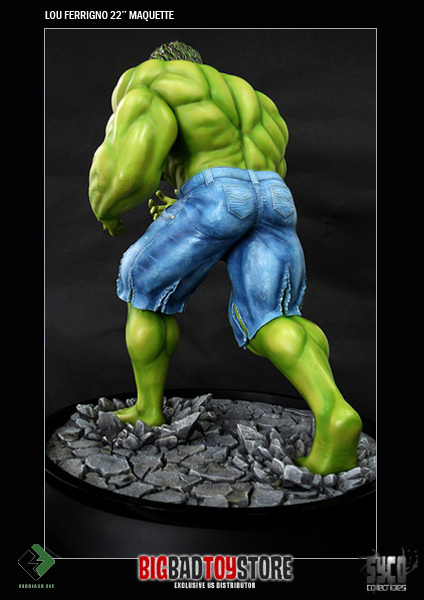 This 22″ Lou Ferrigno Maquette is autographed by Mr. Ferrigno himself and is exclusive to BBTS in the USA! 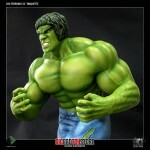 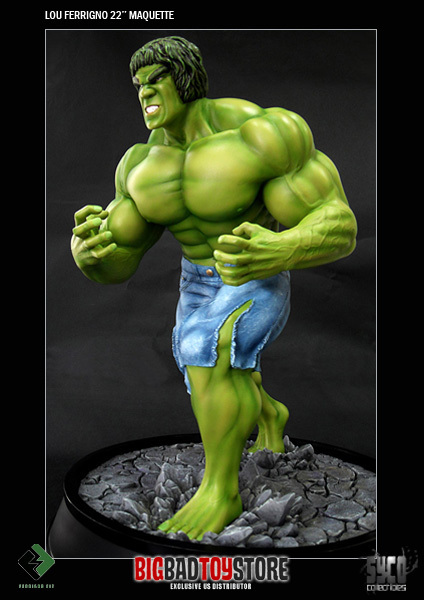 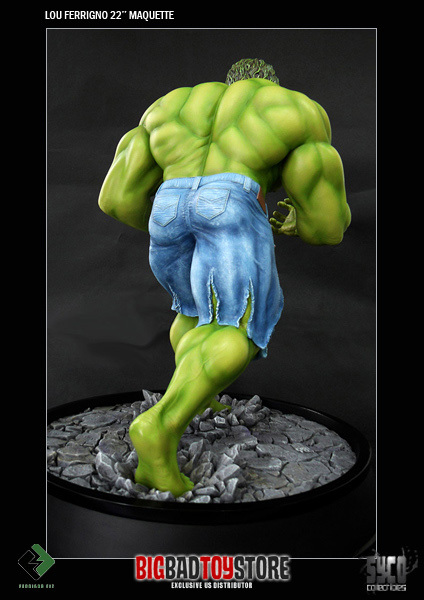 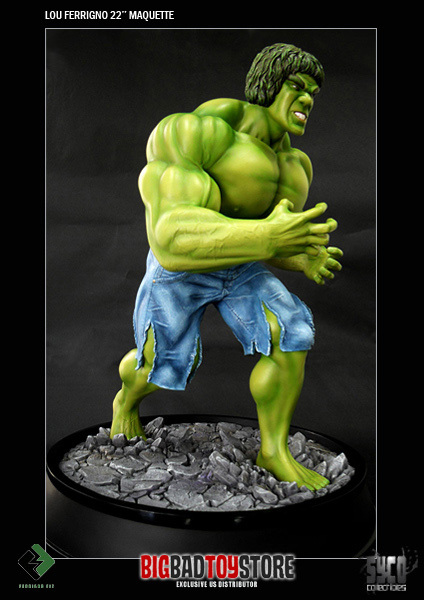 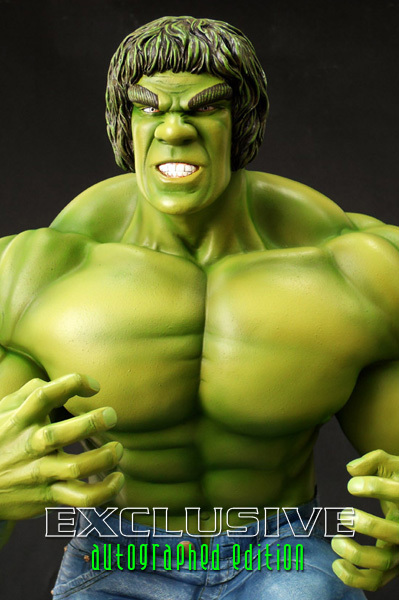 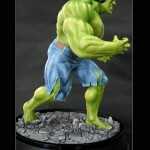 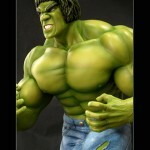 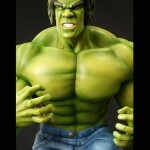 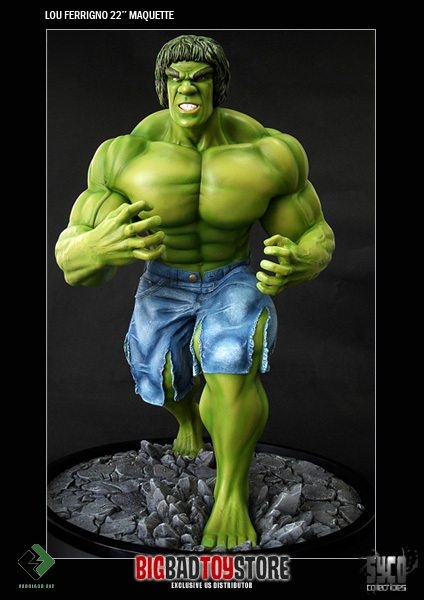 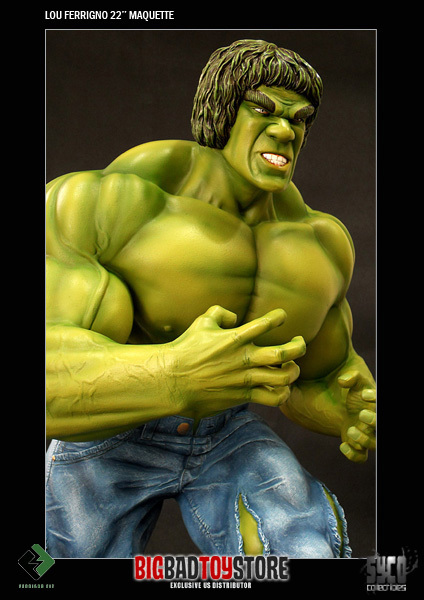 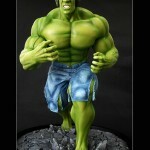 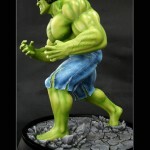 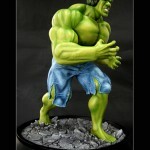 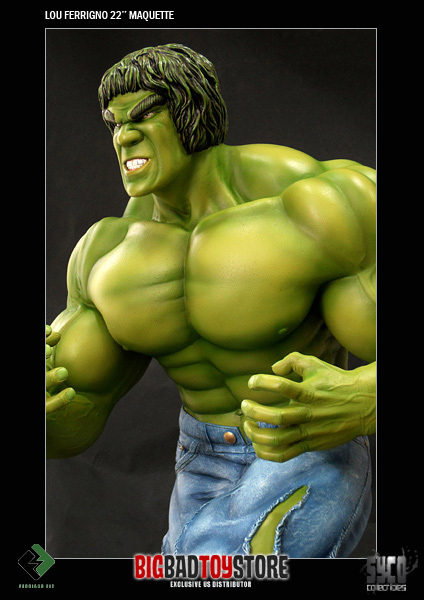 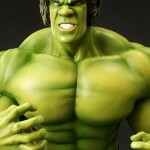 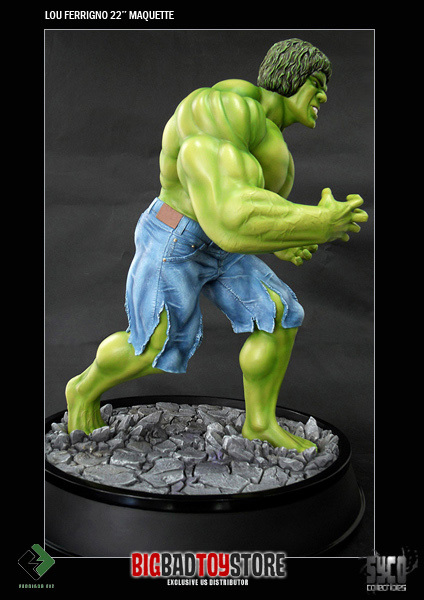 Syco Collectibles is proud to announce this awesome Lou Ferrigno Maquette. 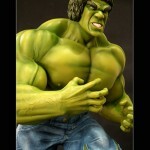 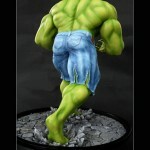 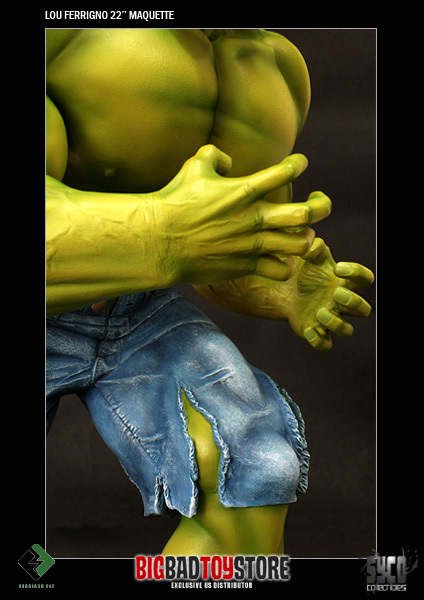 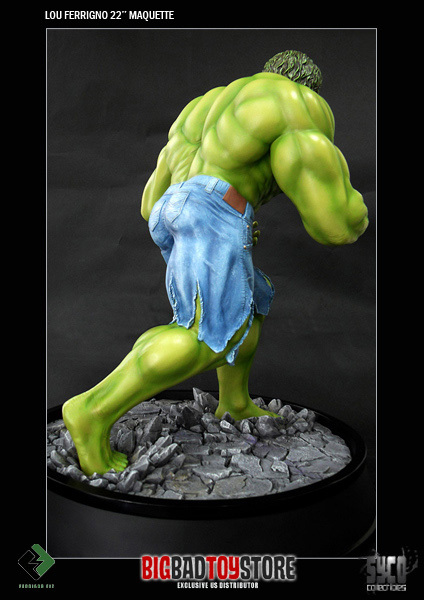 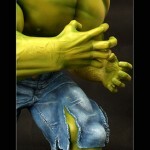 Based on the amazing bodybuilder who played the part of the Hulk in the late 80’s, TV series. 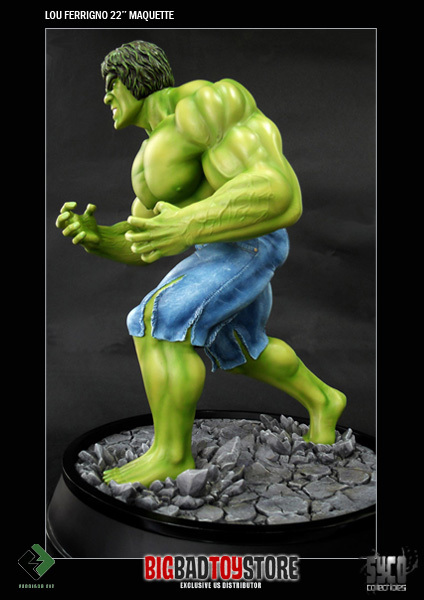 This statue stands an amazing 22′ tall and comes on a 3′ tall base. 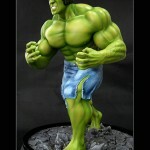 Each one is hand painted and comes with a Gold Metal, Engraved Authenticity Card.